I'm back a little too soon (Lols) with yet another creation of mine. A really good news to share with all of you. I am a GDT at http://www.craftdoormagazine.com/ for TTCRD September 3- September 9 Challenge. Thank you to the amazingly creative team of Craft Door Magazine for letting me be a part (even though for a very short time). The theme for the challenge is 'Anything Goes'. So here is my card for the challenge. For this card, I took a lovely Wee Stamp image named 'Amy'. And matched her colors with the layered background paper colors in red and purple. 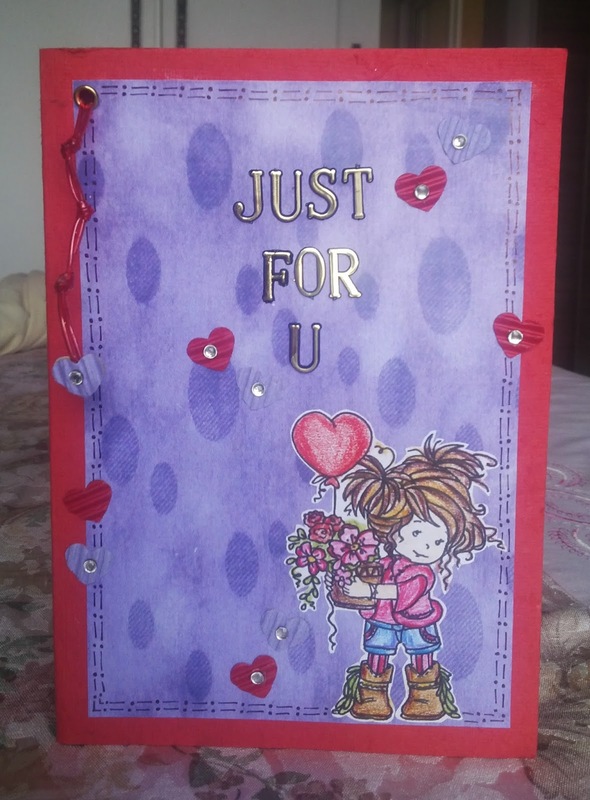 I also punched some corrugated heart pieced in red and purple and spread them all over the card. The tiny winy stones all over the hearts and the golden letters add the extra bling. Also, I punched and used a golden brad at the upper left hand corner of the card and added a string through it, along with hearts to make it look cute!! beautiful card Divya... lovely colors. So sweet!! love the image and hearts!! Thanks for joining us at ODBD!! 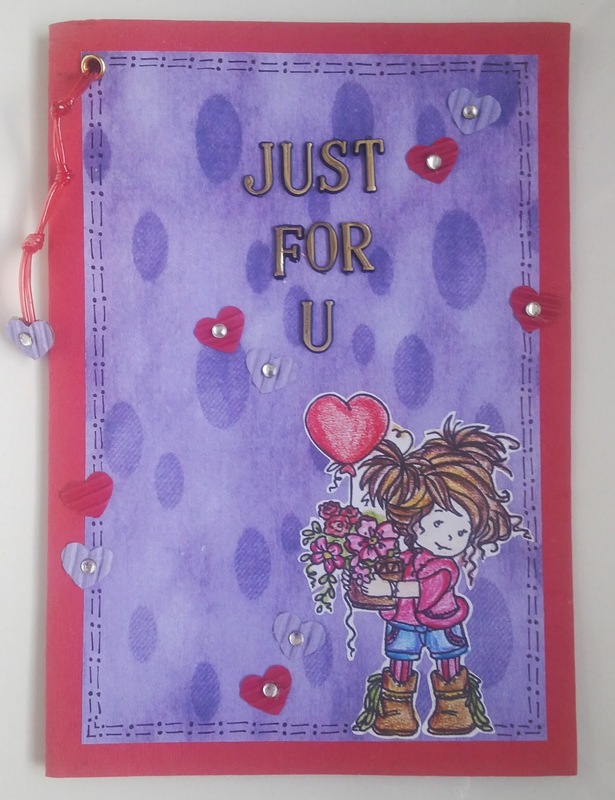 A fabulous card, I love your colour scheme and such a sweet Wee image and gorgeous hearts!! Oh, what a sweet little girl, and red and purple are cute! So glad you joined us this week at ODBD! What a fun card! Thank you for sharing this with us over at the Papercraft Star.